Casting-around with a wider innovation net. When we ‘cast around’ we are looking for something; to try it out, to think about it, to search for connecting a vague idea with something more tangible. So let’s go innovation fishing. The word ‘cast’ is around us in so many ways – anglers cast their line, we are cast adrift, we cast or drop anchor, we cast to put about, to tack, we cast our eyes upon the speaker, we cast light, we cast aspersions, we cast someone in a play, we cast a plan, we cast into a certain mould, are all just some of the many examples of how ‘cast’ is part of our everyday thinking. In innovation, cast can become a fairly dominating action – we can cast about or around for ideas, to devise a plan, we can equally cast off those ideas or concepts we reject or simply cast out, or finally, we can agree to cast one’s lot into a plan or concept to take forward as a united team. For me casting around is a most important part of how I work through innovation coaching. ‘Casting around’ in coaching is trying to understand and see the possible ways to get someone from point A to a new point B. This needs to be in a safe environment, so as to tackle any blockages or misunderstandings and were established patterns might need challenging can be discreetly explored so we cast around initially to explore the different triggering points. Also by having a ‘neutral’ environment but having a clarity of why we are coaching permits for a growing receptivity based on specifics. This allows for being more specific in changing and shifting perceptions that can eventually lead to better innovation understandings and outcomes. Casting is actually essential and becomes a significant part of the solidification process within coaching. Good casting needs a clear routine, method and structure. So why is casting important to innovation? Casting objects has been around for thousands of years. The better your experience in ‘casting’ the more likelihood you arrive at something that is useful and valuable (and highly appreciated) from the efforts put in. When we think through building the capabilities for more open innovation, it is the finding and developing good ideas that innovation is all about. To get to this end-result of delivering upon the idea into tangible innovations it is often thanks to having in place the process to find, capture and commercialize and providing the corporate culture that promotes and protects these processes, to allow for trust but to execute rigorously against clear criteria and (emerging) objectives measured against specific goals. This becomes the art of casting open innovation. It is this art of casting around we can increase discovery, we can capture and act on that discovery or set of connections to generate our future innovation activity. The more we establish a set of patterns, perhaps to have a casting process, the more we can evolve ideas and move them along the innovation process. We gain confidence if we know where we are going but we do need a ‘casting plan’. What is important when we set about casting we do need that certain ‘something’ that gives the process a good structure and a given clarity. I think as we cast we need to work through five stages of casting :Discovery, Generation, Conversion, Diffusion and Acceptance. We raise our abilities if we cast in a prescribed way. The virtues of openness are like casting a wider innovation net for better return. Open innovation gives us all considerable benefits from looking outside our existing organizational boundaries for different concepts and ideas. We can also draw in outside help and partly to confirm those ideas in our growing connections with the final consumer. We need to cast more often today in a world where we have to work at being the smartest. Innovation needs casting practice in knowing where to ‘fish’. If we keep practising casting, we will be making longer and longer casts as we gain in open innovation experience. Just like in fishing you gradually loosen up the control until you get confident in where, what and why you want to cast (around). Remember when you are searching for innovation, no different from fishing, always reel in enough line after you cast to make enough tension, so you can begin to ‘feel’ the response and gain that feel this is worth ‘reeling in’. The real key to innovation casting though is back-casting. As you might know, I have consistently argued about having a clear understanding of where you want to go (a vision and awareness) and in particular why I think the mapping across the three horizons is a more than valuable technique for knowing where and why you are ‘casting’ in specific areas. If you have some clarity on the future, those multiple horizons you need to explore, then your efforts of landing from your ‘casting around’ increase significantly. You can ‘cast’ simultaneously and more accurately for those multiple needs. Those immediate ‘burning needs’ required for improving on today’s products and then you can open-up possible areas for those future ‘winning needs’. But more importantly this back-casting allows you to ‘look across’ new horizons, explore and take a greater time to ‘feel’ out and explore new areas of discovery to take you then through the five stage loop suggested above. Having three different mindsets of the ‘here and now,’ more entrepreneurial, and more futuristic, based on this vision and awareness and then back-cast, allows for throwing open the innovation net for catching ‘greater’ possibilities. No, casting is absolutely critical to innovation. 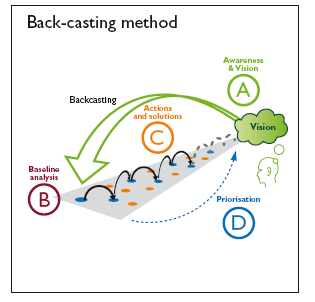 If we can learn the technique of ‘casting forward’ and ‘casting back’ we are gaining insights into ‘casting around.’ We have a much clearer plan of where and why we are looking for something because it has become more specific. Then we can try it; explore its possibilities, to think about it, to search for the connections that turn a vague idea into something more tangible. Open innovation becomes highly focused and well-cast! It becomes aligned. Casting correctly can lead to greater promise, perhaps the innovation ‘catch of the decade’. Well one I recently finished has been one of those rare books that got the Paul Hobcraft treatment; considerable underlining, scribbles in the margins, circles around some pages that I want to refer back too as quickly as I can. You can never achieve that same sense of ‘ownership’ and possession through the e-reader can you, or am I missing something there? 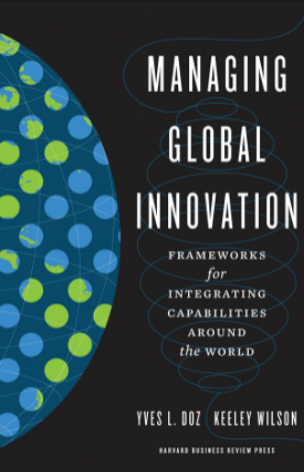 So the book that joined that elite pantheon to the innovation gods on my top shelf was one written by Yves Doz and Keeley Wilson entitled “Managing Global Innovation – frameworks for integrating capabilities around the World”, printed by Harvard Business Review Press. I really recommend it. The book is all about providing the understanding of integrating your global resources to build and leverage a global innovation network. I think it does a good job in explaining the different parts, the considerations and the tougher aspects of making this work for you. Ok, I’m a sucker when it starts off by discussing the innovation challenges, then starts climbing into chapters on optimizing the innovation footprint, then communications, receptivity and then how to organize for global projects focusing on collaborative and integrated innovation, it does draw you in. I’ll leave you to explore this in your own time, if global innovation and integrating is your bag. Equally I think it will be more than helpful in thinking this fully through or recognizing gaps within your present operations. Why it is one of those books for me is where it keeps coming back and placing the focus, on knowledge attainment, seeking out receptivity, transferring and integrating complex and codified knowledge. This emphasis fits so much with my own passion and constantly pushing “Absorptive Capacity” that it felt like coming home, that reaffirming feeling. The difference was the book took you through a different level of journey and understanding to add a whole lot more in my own thinking around this area. Collaborative diffusion, building distributed innovation ecosystems, compatible strategic ambitions, cultural compatibility and discussing the interdependencies all challenge your thinking. As the authors nicely sum up in Chapter 7 it is how the behaviour of decision makers needs to move from that in-built notion of “being successful by competing” on their individual level and changing their mindset for more collaborative innovation across this diverse and global network. The authors suggest this new way of managing is a difficult one to adopt and sustain but suggest the best way, perhaps the only way, is through constant practice and having a positive reinforcement of what makes for successful collaborations. I’d also add that ability to experiment, to learn from others around you constantly and recognizing ‘winning and being successful’ is not reliant on just yourself, it is leveraging everything that is all around you that builds your experience and knowledge. We live in a world of huge diversity and dispersion of knowledge. There is a growth and constant push into new markets, emerging new competitors that are increasingly challenging us to find solutions to this management of global networks, both inside and outside our organizations in more integrative approaches to capture the ‘best’ of innovation. Today’s present structures of the innovation organization, the systems required, the processes, the diversity of cultures, different mindsets and the focus on extracting the best from this mix of structure and resources is hard and complex. The authors argue the scope and scale of the tasks should not become an impediment to action and suggest three dimensions of change to help in this. I’ll leave you to search for these. They warn there is one huge caveat to achievement. Senior management’s vision, their commitment and attention to this will not achieve this globally integrated network alone. It is the recognition that failure to implement strategic change is often this lack of buy-in from groups of middle managers who remain happy with the status-quo or unaware of the need and rationale for the required change. These gaps within organizations are due to the lack of dialogue, openly discussing threats and challenges and being inclusive in the implementation. This took me back, again, to my own arguments and suggested solutions to bridge that gap, through the Executive Innovation Work Mat. We return to knowledge in the wrap up within the book, where the authors have identified five radical shifts taking place that will lead to greater knowledge diffusion and diversity: 1) globalization and the opening of new markets; 2) increasing technological complexity and convergence; 3) demographic changes; 4) greater external pressures, in particular environmental concerns (and scarcity); 5) offshore outposts and outsourcing. With innovation increasingly moving beyond its previous boundaries of simply leaving it to the scientists or marketing departments has long gone, for today and in the future, innovation is about open, inclusive, exploration and harmonization to extract the best. Innovation has moved beyond products into new services, changing value propositions and business models and needs this constant reorganization around changing the innovation activities. Technology- based alone is not enough pursuing greater functionality; we are increasingly in the disruptive era of simplification, which captures far more of the imagination and where the increased movement of wealth generating opportunities lie. Look at the effects of reverse innovation, jugaad or frugal innovation and where this has potential, the strong underlying movement in start-ups that are far more ‘needs related’ or serving ‘unmet needs’ through lean approaches than those in the past, of simply cruising along for opportunity with a vague business concept. Everything has become so much sharper in why we have to focus our minds down, it is far more on what and where innovation can give us the next growth opportunity and that comes from all the diversity we can muster. Managing in the global innovation space is no different, it needs a dedicated focus and understanding, to find the unique mix that suits your needs and knowledge accessing and translating becomes the global unlocking key. Help seems to come from new quarters – unlocking our minds and breaking free from our cognitive biases. If I take www.innovationgames.com, as one example, of where Luke Hohmann and his team are taking us. I think there is this important emerging ‘rush’ into games-based tools partly because they can significantly help offset cognitive bias. They allow us to become more engaged in collaborative thinking. On http://www.innovationgames.com site they offer this as their value statement: “our on-line and in-person games help organizations solve problems across the enterprise by using collaborative play to tap into true innovation”. “Games bring your ideas into Action” in our ability to come together and then actively collaborate, helps you discover market opportunities and uncover customer needs and challenge your thinking in new and stimulating ways. Engagement in imaginative ways allows you to break free of some of your cognitive traps. Have you explored the different books around games, for example Gamestorming: a playbook for innovators, rule breakers and change makers. They state “we’re hardwired to play games. We play them for fun. We play them in our social interactions. We play them at work. That last one is tricky. “Games” and “work” don’t seem like a natural pairing. Their coupling in the workplace either implies goofing off (the fun variant) or office politics (the not-so-fun type)”. I’d suggest that in any industry there is this pressing need to open up the thinking to see ‘things’ in new ways. The challenges are becoming more complex, faster paced and needing far more agile minds. These game storming approach are allowing us to alters our cognitive biases in new ways. Have you read the article by Jordan Shapiro on “How gamed-based learning can save the humanities” where he discusses example of game-based learning platforms that uses the magic of interactive storytelling–video game design–to bridge the catastrophic gap that undervalues the humanities in education. He goes on to suggest “Metaphors, signs, and symbols are useful. 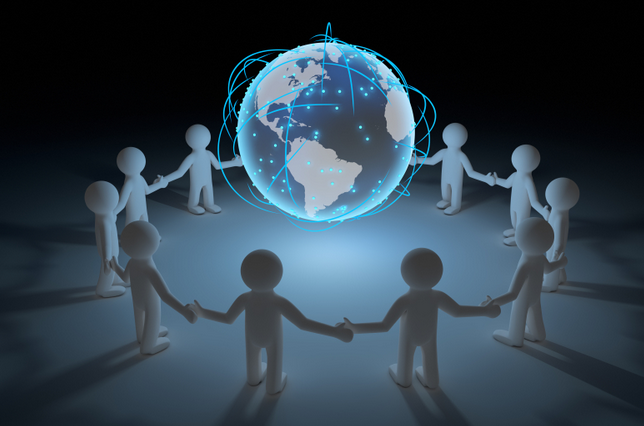 As the building blocks of language, they let us articulate our experiences through a shared system of meaning-making”. Any shared language reduces personal bias. Take a look at this slideshare “Building a sustainable innovation ecosystem” for exploring translation pathways to new ways of learning in the 21st century. Game-based learning is significant to alter our perceptions and challenge our thinking. Following the success of Alexander Osterwalder’s Business Model Canvas we are all getting more comfortable in building off a ‘blank’ canvas our new business models. Since this canvas there are countless other alternatives that can help us to overcome bias and prompt different thinking around most of the aspects of business design. We are seeing the art of storytelling, of taking part in simulation work, making better use of the different visualization techniques and we are opening up in allowing ourselves more time for strategic and concept conversations. If we take the Heath brothers suggest in their book “Made to Stick” I certainly believe this can help in ‘chipping away’ at cognitive bias. It reduces bias though drawing out, more often than not collectively and giving time to debate. This shifts our personal perspectives and allows us to see things differently as ‘I’ moves to ‘we’ in association and assembled knowledge of the broader community engaged in the conversations and exploring. Can we use the tool from “Make It Stick” for reducing cognitive traps? For example in their book “Made to Stick” they (Heath brothers) lay out the critical elements of a sticky idea of Simplicity, Unexpectedness, Concreteness, Credibility, Emotions, Stories. This encouragement makes for more conversations, both within our own minds and in greater participation with others. This idea for structuring conversations will be great offsets to our cognitive bias in my view. It certainly can become a great starting point. Simple — find the core of any nascent concept and allow it to permeate. Emotional — help people see the importance of this to achieving innovation that transforms. Stories and Narratives — for crafting a compelling narrative to change our cognitive biases into new logic and value propositions. For me the more we can diffuse knowledge, the better, for recognizing its potential new value in enabling innovation to be translated into “exploitive learning”. I’ve previously suggested absorptive capacity as a help in knowledge adapting. I wrote a piece called “Moving towards a more distributed innovation model” can allow your thinking to absorb and have a greater flow. Envisaging different states for innovation needs clear application. Scenario thinking is a more than helpful place to go for changing our perspectives. What we have to guard against is that these do not become another cognitive trap where we want scenario thinking as long as it is on ‘our terms’. I believe if we only ever construct scenarios in one ‘mindset’ we miss so much. As many who have been reading my posts I strongly prescribe the three horizon methodology for approaching innovation. Take a look at mapping innovation across the three horizons to see where this can ‘shift’ our thinking beyond accepted present day thinking norms for innovation to be advanced more effectively. Langdon Morris wrote in a book called “The Innovation Master Plan” there are four devious mindset traps of 1) fixation on the status quo , 2) short-term thinking dominates at the expense of longer term, 3) too much incremental innovation and 4) ignorance of the real meaning of change, its rate and impact. We need to radically alter these traps. Fixation, biases simply do have innovation consequences. I believe we can go well beyond the present value of ‘just’ fitting your existing innovation portfolio and directional management into a one-dimensional framework, viewed in our present ‘here and now’ mindset. You can see opportunities completely differently beyond the existing mindset and activities, if you think in different time horizons. These different thinking positions take innovation from tactical to strategic, then into foresight in your three different mindset evaluations. This three horizon approach challenges your cognitive biases as you really do just have to let go and open your mind right up, to see and that is in different thinking frames. Perhaps I can go one step further, a final step, by reflecting back. So in my final post coming up (part three) on the Innovation Bunker – Cognitive Traps I offer a simple framing technique that I think has value. One that we all can relate to it, not so much to each others cognitive biases but on how we can manage innovation and its progress in a ‘common’ approach- It can reduce differences and allow for better results. We certainly do need to encourage adoption and decrease the rejections in innovation.